Over 1,900 Chinese people in northeastern China have signed a petition calling for the release of two elderly women who were jailed for several years for practicing Falun Gong, a traditional spiritual practice that has been persecuted for over 13 years. The Dalai Lama has blamed the Chinese government’s policy of “cultural genocide” in his native Tibet for a wave of self-immolations that has struck restive Tibetan areas of western China this year. At least 11 Tibetans, all of them Buddhist nuns, monks or former monks, have set themselves on fire since March to protest against Chinese rule and religious repression, according to human rights and exile groups. The Chinese government has blamed the Dalai Lama for encouraging the self-immolations and says he and his “clique” are engaged in “disguised terrorism” and “pursuing separatism by harming people”. (VOA News)- By mobile phone, Internet and shortwave radio, Tibetan exiles maintain a constant watch on their friends, contacts and relatives living in Tibet under Chinese control. China’s increasingly sophisticated ability to conduct cyber-warfare is making the task more challenging, and pushing Tibetan exiles to develop training programs for keeping themselves secure online. BEIJING (BP)–Despite restrictions due to the Chinese Communist Party’s 90th anniversary, members of Shouwang Church in Beijing continued to meet outdoors July 3, leading to at least 19 arrests. BEIJING (BP)–They came hoping to sing hymns, read Scripture and worship together, but 25 members of Shouwang Church in Beijing were arrested May 22 during the seventh consecutive week that the congregation has bucked the Chinese government and refused to stop meeting. Few other details of the latest round of arrests were available, but ChinaAid — which monitors religious freedom in China — reported that 18 of the church members had been freed by the end of the day. SAN FRANCISCO — Cisco, the maker of Internet routing gear, customized its technology to help China track members of the Falun Gong spiritual movement, according to a federal lawsuit filed last week by members of the movement. Mission Network News, China (MNN) ― Making waves on NPR, CNN, BBC and the New York Times, the story of one persecuted house church has struck international chords. The Chinese government responded to a burgeoning civil society by jailing and persecuting people for peacefully expressing their views, holding religious beliefs not sanctioned by the state, advocating for democratic reform and human rights, and defending the rights of others. 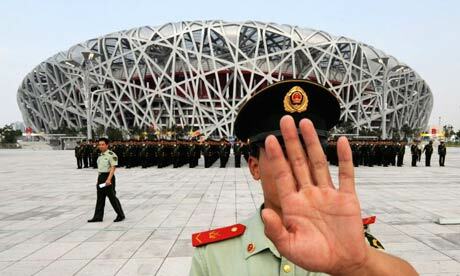 Popular social media sites remained blocked by China’s internet firewall. The authorities continued to repress Tibetan, Uighur, Mongolian and other ethnic minority populations. On the international stage, China grew more confident and more aggressive in punishing countries whose leaders spoke publicly about its human rights record. For a decade in China hundreds of thousands of ordinary citizens, undaunted by the possibility of arrest and torture, have turned their homes into bases for what Chinese authorities regard as “reactionary propaganda,” and what everyone else regards as simple truths about the right to faith and freedom from persecution. Over the past five Sundays, more than 100 members of the Shouwang Church in Beijing have been detained to prevent them from meeting. It is a confrontation between state and conscience with broad implications for the future of China. New York–In a decision challenging the Communist Party’s efforts to extend the persecution of Falun Gong beyond China’s borders, the Human Rights Tribunal in Ontario ruled on April 27 that a local Chinese association had discriminated against an elderly Falun Gong practitioner when revoking her membership and using demeaning labels to refer to her faith. On May 13, 1992, in a humble schoolhouse in northeastern China, Mr. Li Hongzhi began teaching Falun Gong (or Falun Dafa), introducing to modern China a practice with roots extending back thousands of years. By early 1999, there were 70 to 100 million people practicing Falun Gong in China alone, their slow-moving meditative exercises visible at dawn in parks across the country. 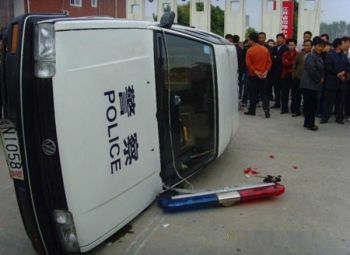 China’s security establishment is in a ruthless mood at the moment, taking on the “tall poppies” of the law, the media, the blogosphere and the arts without apparent fear of a backlash from a public that instinctively knows the value of compliance, and the price of defiance. However, there is another, much larger grouping, that is also heading for a collision with the “Goon State” (that’s the Economist’s) and with potentially much more serious consequences – the millions of Evangelical Christians who choose to worship outside China’s official churches. BEIJING (BP)— For the fourth week in a row, a Chinese “illegal” church refused Sunday to follow government orders not to meet, and this time at least 31 of its members were arrested. 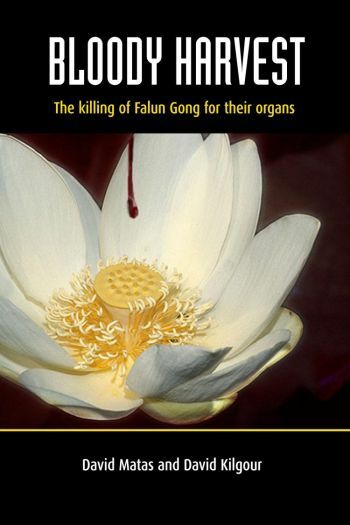 New York— Since news emerged last month of three Falun Gong detainees being killed in custody at a prison in northeast China, family members of the victims and others prisoners of conscience have been harassed and beaten, as the authorities seek to cover up the deaths. In Europe, Asia and the United States over the weekend, Falun Gong practitioners marked the 12th anniversary of the largest peaceful demonstration in China in 20 years. That demonstration, on April 25, 1999, was followed three months later by a violent crackdown—when the Chinese Communist Party launched a campaign to arrest and torture Falun Gong practitioners.